If you're hearing the I'll have it cold, or extra ice, please! from your customers, you're not alone. Between mid-2016 and 2017, sales of cold press coffee rose by 80 percent. Consumers are clamoring for more and more of the icy cold goodness. What are you doing to meet that demand? You wouldn't call an IPA and a stout the same thing, and the differentiation between cold brew coffee and its classic counterpart iced coffee is much the same. Iced coffee is coffee that's gone cold. Brewed using hot water, it's left to cool down and served up over ice. Cold brew or cold press is never treated with warm or hot water. Essentially, cold brew is preparation, not a flavor. Instead, it's left in cold (or room temp) water to steep much like tea for upwards of 12-24 hours. Then, it's strained (or pressed) to remove the grounds from the liquid and voila, cold brew. Without heat, the extraction of oils that occurs in the regular brewing process is eliminated. That fact makes for a sweeter tasting beverage. Iced coffee arguably drinks and tastes like traditional brewed coffee whereas cold brew's characteristics are very different - wildly different. It's less acidic and less bitter; flavors are smooth, mellow, and pack a higher caffeine level punch. Even people who've tried cold brew who aren't usually coffee drinkers can appreciate the profile of a rich glass of cold brew. Download Your Cold Brew Coffee Java Creations ™ Options with Bernick's! The growing popularity of cold brew not only boosts sales during summer months but is a relevant source of new revenue for all types of businesses - year round. As consumers ask for ready-to-drink or on tap options at your bar, restaurant, or C-store, what can you offer them? In a 2017 article How Cold Brew Changed the Coffee Business from the New York Times, reporter Oliver Strand said, "There’s no way to rush cold brew. If you’re running a coffee shop, you need to anticipate demand. Every year, that demand is increasing: The United States is becoming a cold-brew nation." Indeed. 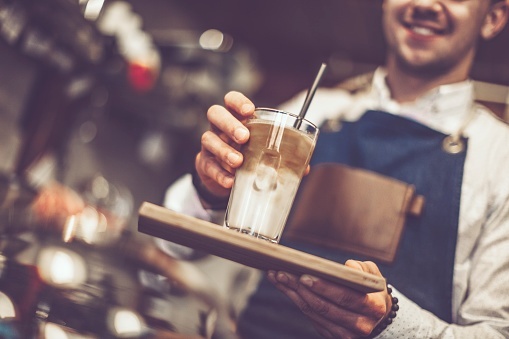 The food service industry and retailers are requesting cold brew in mass quantity because preparation of cold brew is labor intensive and takes up additional space in kitchens, bars, and storage areas onsite. Really, the distribution of such coffee beverages today is no different than a keg of beer or bag of Pepsi. Small, independent artisanal coffee roasters like Duluth Coffee Company are meeting those consumer needs outside their own coffee shop walls by partnering with distributors to expand their footprint. Kegs aren't just for beer anymore. Cold brew infused with nitrogen offers a fizzy, frothy, and bubbly adult-beverage-esque feeling combining carbonation and beer-like pouring characteristics. Watching cold press on nitro being poured is similar to watching a pint of Guinness fill up - it cascades beautifully. It's thick, rich, and substantial. Not only is cold press coffee delicious, it's visually appealing. For Duluth customers like Grizzly's, 7 West Taphouse, and Tavern on the Hill, offering patrons the option of cold press on nitro means adding more value to their menus. As a non-alcoholic option, cold press meets that criteria as well as plays into dessert pairings and mixology - the fusion of coffee and liqueurs. Welcome to the great nation of cold brew.